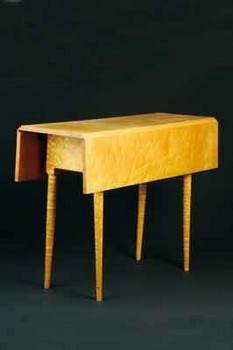 A drop leaf table is a smart choice for a small home or apartment. It adds versatility while taking up little space in a small kitchen or dining area. Countless finishes and trims make them easy to blend with existing interior decoration or add punch to any decor. 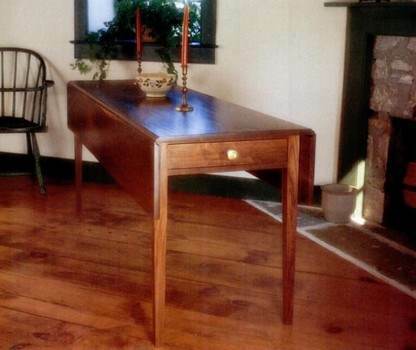 Free drop leaf table plans give you the option of paint or varnish, size and other custom features. If you have special needs on height, width or length, there are plans that can easily be adapted for unusual requirements. Storable card tables and foldable Pembroke tables are great for unexpected guests, adding seating for dining and entertaining. Choose a style that blends or contrasts with your home for a designer look your guest will appreciate. 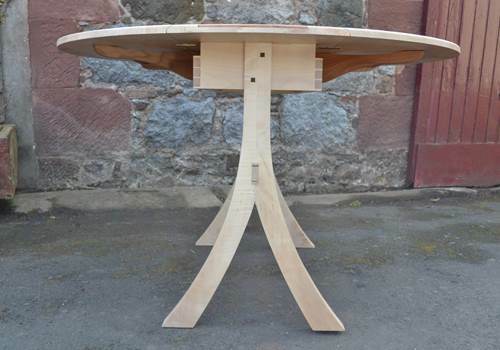 Rectangular, oval or square, there is a table just right for your home. Build a foldable round table using these instructions with list of materials, diagrams and helpful tips. 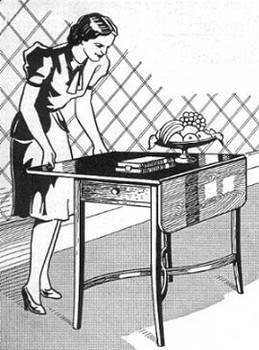 Step by step plans for a table that can be folded down on each side to be made smaller or folded up for when a larger table is required. 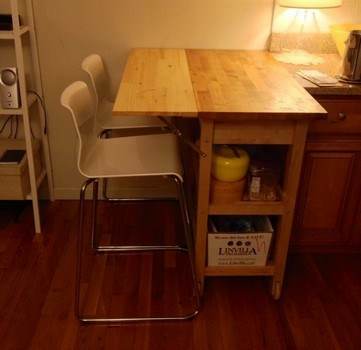 This tall table works great for a small dining area and is easily extended on both ends plus has storage below. 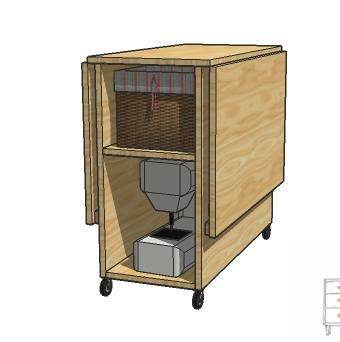 Build a handy drop-leaf sewing table on wheels that offers easy access to storage for a sewing machine and sewing notions. 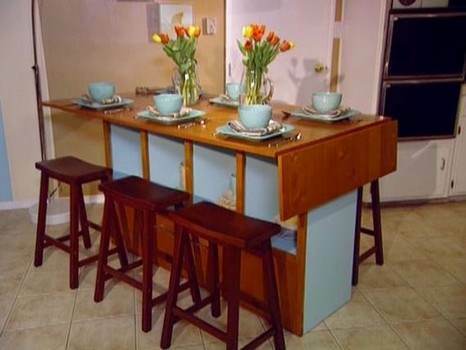 This plan takes a kitchen cart and with a piece of wood and some metal hinges turns it into a covenant drop-leaf table. Here are written instructions plus video to help you build a dining room table in drop-leaf fashion that works great in a small space. 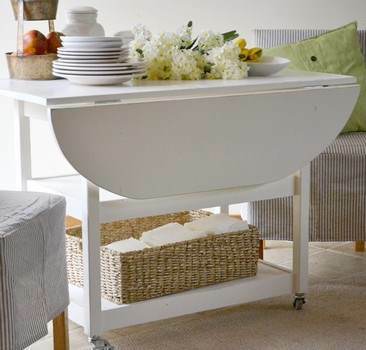 This compact drop-leaf table can has a single drawer for storage and can be placed in most any room in the home. 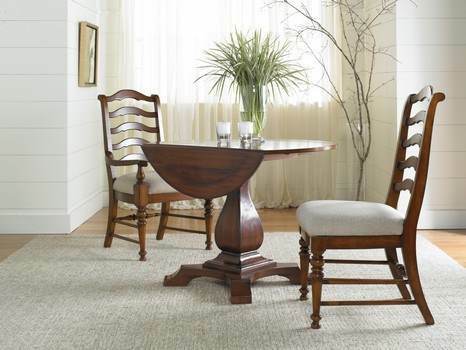 >Create this elegant round accent table with drop-leaf plus four curved legs stemming from a center support. 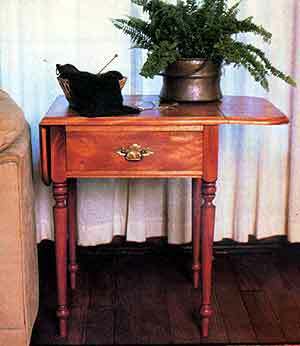 This plan is for a table with a deep end-drawer and drop-leaves with classic rule joint for a handsome Early American style. 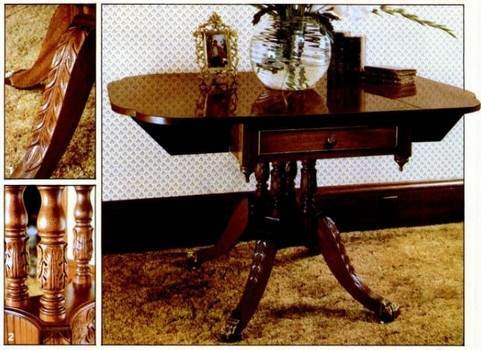 With your choice of wood, build a vintage inspired drop-leaf table with center drawer, centered pedestal and four legs. 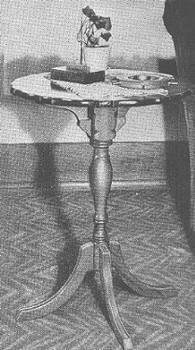 Here is a plan for a well built Colonial style end table with one short and one long leaf plus open storage beneath. This detailed plan will help you build a well constructed shaker drop-leaf table to use as an island in the kitchen or where ever it's needed. 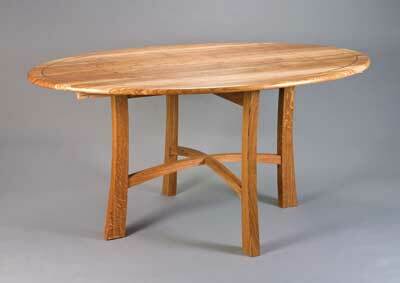 For your small dining area use rule-joints to create an oval shaped dining table with this easy to follow plan. 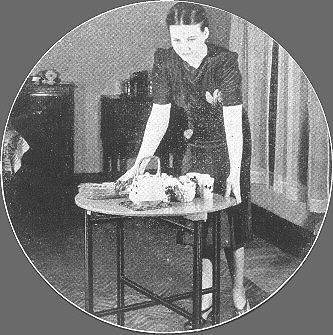 This round drop-leaf table can be created at a low cost; it has a storage shelf underneath and it's legs are set on casters for ease of moving.